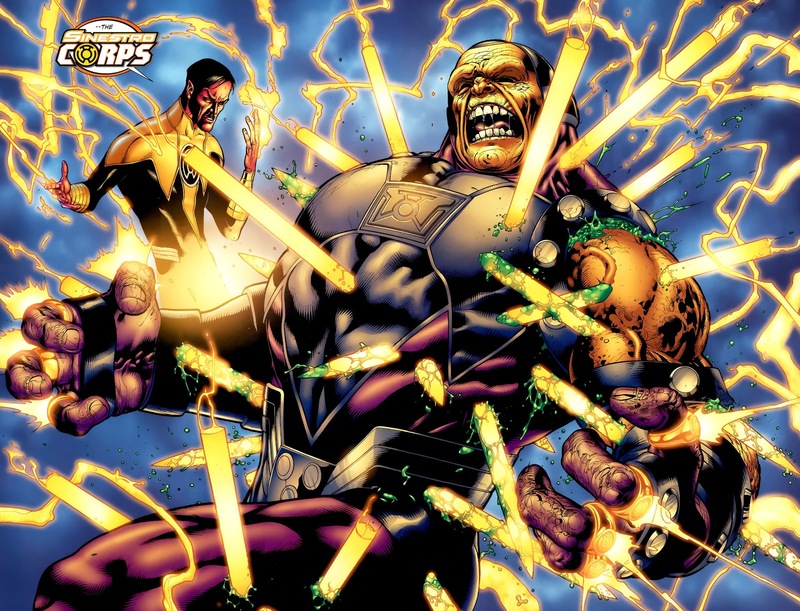 When DC Direct released the Sinestro Corps Mongul, I thought he pretty much sucked. I took it upon myself to try and make him better. I like how it turned out, but I still need a regular oversized Mongul! Mattel really hasn't done him justice. the parts are from Validus/Brimstone C and C's (maybe a Arkillo or Kilowog limb, I really don't recall) and a cut up and dremeled to hell DC Direct Sinestro Corps Mongul. Add a little bit of paint and some sculpting (I wish the symbol was a bit more crisp!) and you get this! That's a lot of rings!